The Tampa/St. Pete area is the perfect combo of arts, culture and entertainment and sun, sand and relaxation. 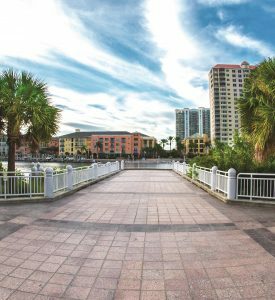 A visit to Tampa’s Riverwalk is really a mini-vacation in itself. Along its 2.4 mile stretch, the Riverwalk includes a children’s museum; an art museum; a performing arts center; and a Smithsonian-affiliated history center. Tampa’s Ybor City is the historic Latin Quarter and the former center of the area’s cigar making. A visit to Ybor City will immerse you in the Cuban heritage of its founders. Walking history tours that run just under two hours are available most days beginning at 11 a.m. and can be scheduled by visiting www.yborwalkingtours.com. There is also a lively nightlife with a mix of clubs and entertainment venues. To truly understand the cigar story of the city, consider visiting during the 2017 Cigar Heritage Festival, scheduled for December 3. The event will feature live music and entertainment, food trucks, beer and wine and of course, cigar rolling demonstrations. For more information visit www.yborcitycigarfestival.com. Did you know that Plant City, which is less than 30 minutes from Tampa, is considered the Winter Strawberry Capital? It’s true and the reason for the moniker is because over three-quarters of our country’s midwinter strawberries come from Plant City. If you want to experience some strawberry goodness, visit Parkesdale Farm Market from January to April to enjoy their world famous Strawberry Shortcake or a scrumptious strawberry milkshake. The berry is honored each March with the Annual Strawberry Festival. The 2018 event runs March 3 through 18. Event details are being finalized but watch www.flstrawberryfestival.com for event updates. Voted the #3 beach in the US in 2017 by TripAdvisor, St. Pete’s Beach boasts the longest undeveloped stretch of public beach in the country. Voters noted the sugary white sands, abundance of shells, warm Gulf waters, gentle waves and perfect sunsets as the reason this beach rates! 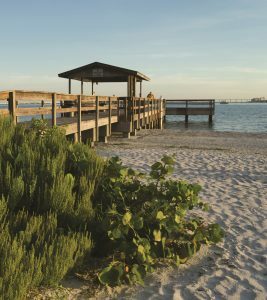 If you’re looking for a beach experience a little closer to Tampa, take a walk or ride on the Courtney Campbell Trail to Ben T. Davis Beach and enjoy a picnic or a beautiful sunset. A visit to the Florida Botanical Gardens in Largo will get you in the holiday spirit with more than 750,000 twinkling lights throughout the gardens. The event runs November 24 through December 31 and is open to the public with a small donation. In addition to the light display, there is also nightly entertainment and visits from Santa himself. Life in Sarasota is all about the beaches! The area has been consistently touted as home to some of the most beautiful beaches in the Sunshine State and the US. 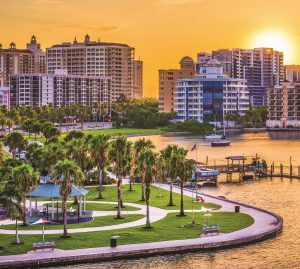 Sun and sand seekers will be happy to note the Sarasota beaches are all open for business as usual – the business of sunshine and relaxation, that is! The belle of the beach ball right now is Siesta Beach which was recently named the #1 Beach in America. A unique event not to be missed at Siesta Beach is the Sunday Drum Circle where drummers gather shortly before sunset to provide a rhythmic beat as the sun’s rays fade for the day. Dancers and jugglers gather as well to entertain as the crowd waits for the drum beats to begin. For more information on the Drum Circle visit exploringsiestakey.com/drum-circle. Other beaches of note include Turtle Beach which features some of the tallest dunes in the area; Venice Municipal Beach and its coral reef located about a quarter-mile from shore and Lido Beach, which is less crowded than the popular Siesta Beach and offers a mile of beachfront walking opportunities. 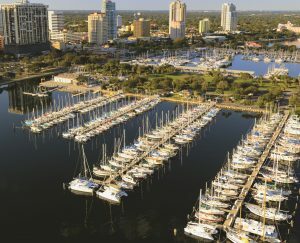 Off-sand opportunities in Sarasota are as plentiful as the beaches in the area. The Mote Marine Laboratory and Aquarium has two touch tanks, a 135,000 gallon shark habitat and dolphin, manatee and sea turtle exhibits. At the John and Mable Ringling Museum of Art features you’ll find more than just art. Here you’ll find the Ringling Circus Museum which celebrates the history of the American Circus; Ca’ D’ Zan, the Ringling family’s 56- room mansion, a Venetian-styled masterpiece built in the 1920s; Bayfront Gardens which features unique statuary among majestic Banyan trees; and the art museum itself which features amazing works of art in both permanent and travelling exhibits. 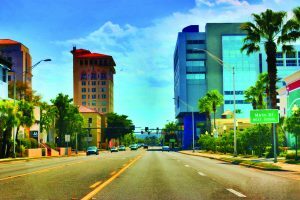 Aside from the amazing circus experience Ringling created, he was also instrumental in the creation of Sarasota’s most famous shopping venue, St. Armands Circle. With over 140 shops, boutiques and galleries, St. Armands also features the Circus Ring of Fame which honors legendary circus performers. For hours, location and a list of shops visit starmandscircleassoc.com. Thomas Edison had many bright ideas and one of them was to winter in southwest Florida. The estates of both Edison and auto magnate Henry Ford are great places to visit in the Fort Myers area (www.edisonfordwinterestates.org). Edison believed in giving back to the community he called home each winter and to celebrate the great inventor the Edison Festival of Light is held each February. The weeklong 2018 festival, which will feature food trucks, pet parades, fun runs and of course STEM (Science, Technology, Engineering, Math and the Arts) exhibits, will run February 3 through 18. For information visit www.edisonfestival.org. The beaches of the area are award-winning and you can enjoy some sandy fun at the beach on Captiva, Sanibel and Estero Island to name a few. Captiva Island has several beautiful beaches and is the best spot to take a guided cruise. Captiva Cruises offer shelling cruises, out-island cruises, dolphin watching cruises and sunset cruises. Another Captiva Island favorite is the Bubble Room restaurant where “it’s always Christmas.” This island favorite offers food and drinks and an atmosphere that will make you feel jolly for sure. Sanibel is a shell seekers paradise thanks in part due to the orientation of the island (east-west vs. north-south.) It is so popular with shellers that there’s a name for the familiar pose of a person gathering shells known as the “Sanibel Stoop.” Get yourself to Sanibel ASAP if you have any intention of showcasing your finds at the annual shell show. The 81st Annual Sanibel Shell Show runs March 1-3, 2018. Estero Island is home to Mound Key Archaeological State Park where visitors will see thirty foot ancient shell mounds created by the Calusa Indians. It’s a piece of history that astounds visitors. Lovers Key State Park is a perfect spot to view the wildlife of southwest Florida. Here visitors have the opportunity to espy West Indian manatees, bald eagles and frolicking bottlenose dolphins. The park also has hiking and biking trails and a two-mile long beach. Orlando’s Walt Disney World® is always a magical place but during the holiday season they really know how to throw a party! From Mickey’s Very Merry Christmas Party to Epcot’s International Festival of the Holidays, spirited events are on tap throughout November and December. For a complete listing visit www.disneyworld.disney.go.com. Take a stroll through a classic Florida town fabulously recreated in Kissimmee’s Old Town. Set over 18 acres, Old Town is a mix of shops, restaurants, live entertainment, family fun and attractions. Kissimmee is also a great spot to explore Florida’s Everglades with the popular Kissimmee Swamp Tours. You will get up close views of Florida wildlife in their natural habitat and have a memorable Everglades exploration. 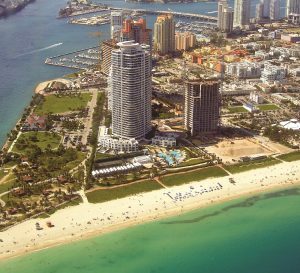 With average daily temperatures in the mid-70s, the months of December through February are the perfect time to visit Miami. Throw in November with its mid- 80s average daily temp and you’re looking at an extended “let’s get outdoors” kind of stay. 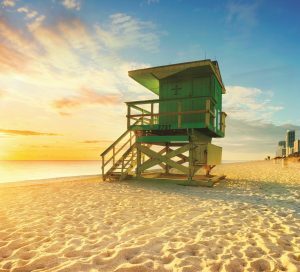 Miami presents its visitors with amazing architecture and a variety of beach experiences. The architecture styles range from Art Deco to contemporary while the beaches vary from the party-vibe of South Beach to the family friendly Crandon Beach. Overall, there’s something for everyone in Miami. Several historic architecture tours are available including a 90-minute Art Deco walking tour and a Saturday morning beach walk that highlights Miami Modern, or MiMo, architecture (information on both can be found at www.mdpl.org). Don’t miss such architectural wonders as the Fontainebleau Hotel, the Bacardi Building or the McAlpin. Want to experience a parade Miami-style? Consider the December 31 King Mango Strut Parade in Coconut Grove, which is not your typical parade experience. Considered a“satirical parade” it does feature costumes and music but the costumes have been dubbed “irreverent” and the musical instruments played by the marching bands include kazoos, conch shells and garbage can drums. A great way to see all that Miami has to offer is the Hop On Hop Off Trolley tour that features more than 40 stops. The tour offers four different loop tours including the City Loop and the Beach Loop. So you see there’s every reason to head to Florida and no reason at all to think anything has changed. 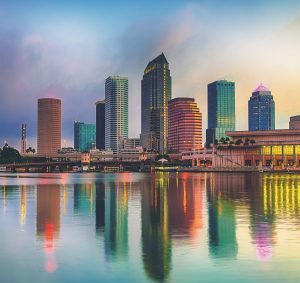 As always, Florida in winter equals sun and fun and experience you’ll want to repeat every time you see the thermometer head south! Plan your next Florida adventure at one of our 41 sites across Florida by visiting our website, thousandtrails.com.